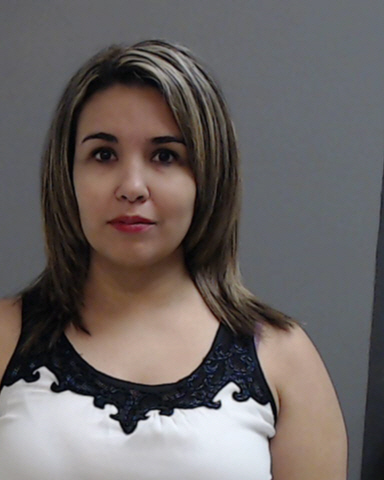 EDINBURG — The former executive secretary for the city of Alamo was handcuffed in district court Wednesday morning following her arraignment on a new felony charge tied to her arrest last summer. In addition to the engaging in organized criminal activity charge, for which she was arrested in July 2018, Crystal Garza, 35, was arraigned by visiting District Judge Jose Longoria on one count of manufacture and delivery of a controlled substance of more than 1 but less than 4 grams. The substance in question was cocaine, according to the grand jury indictment handed down in January. A second degree felony, the drug charge carries up to 20 years in prison if convicted, whereas the organized crime charge is a state jail felony punishable by up to two years in state jail. Garza pleaded not guilty to both and will return to court later this month for a pre-trial hearing. She was issued a $40,000 personal recognizance bond on the new charge. Garza was employed as the executive secretary under Alamo City Manager Luciano Ozuna Jr. at the time of her arrest, a position she held for four years. Ozuna fired her soon after. Alamo Police Chief Baudelio Castillo alleges Garza used her position in the city to leak sensitive police information to a local drug trafficking organization, including identities and addresses of undercover officers and police targets. The chief has declined to elaborate, however, as to how exactly Garza was allegedly able to access this information. The police department is located in a separate building from Alamo City Hall where she worked. Alamo police also arrested a man Garza’s children described in text messages as “Uncle Chris,” who allegedly sold cocaine and marijuana from a house on Cripple Creek Circle in Alamo, where investigators had seen Garza come and go, according to a probable cause affidavit, which noted the two texted about narcotics sales. The man, Cristobal Godinez Garza, 55, has not been indicted on the engaging in organized criminal activity charge for which he was arrested in August 2018. Garza’s arrest also led to the arrest of Eddie Ramirez, 36, a man police identified as her boyfriend, and Janine Garza, 54, identified as her mother. Ramirez, who attended Garza’s Wednesday arraignment, was arraigned in district court last month on one third-degree felony count of tampering of physical evidence for trying to hide her cell phone from investigators, to which he pleaded not guilty. Janine Garza has not been indicted on the tampering count for which she was arrested.